NECA previewed an all new stand type that they are currently working on. The new stands would work with head sculpts for 6″ to 7″ scale figures. 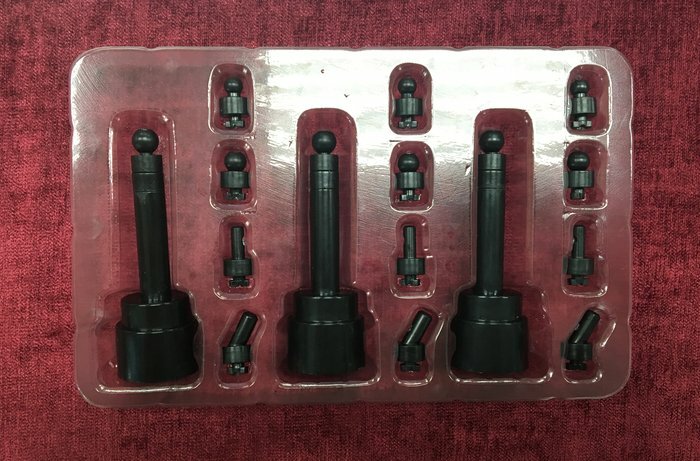 this would allow figure owners to display multiple head sculpts for any potential figure they own, almost as if they were mini busts. 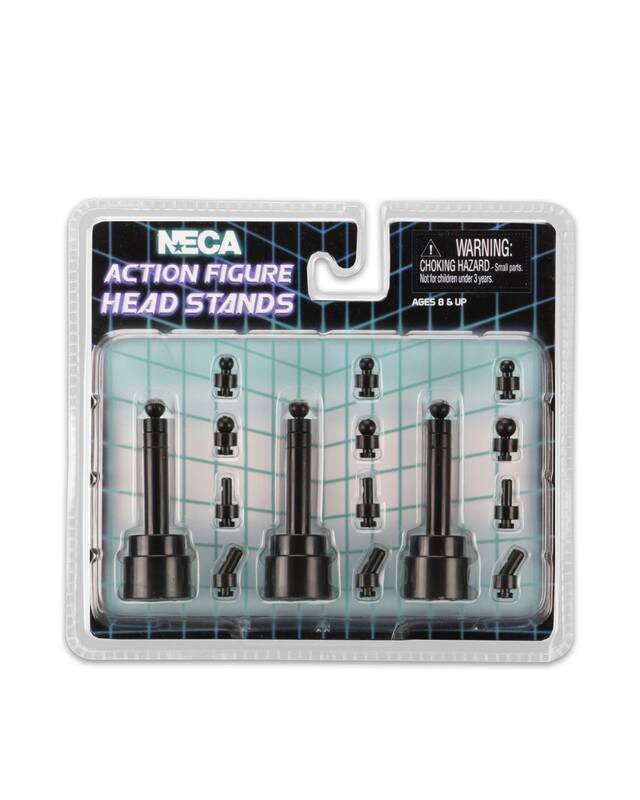 The target price would be $6.99 for a set of three stands.From the looks of the prototype, NECA would include alternate connection pieces to work with an assortment of head sculpts from multiple brands. These are still early in production, so details could definitely change before a release. Click the thumbnail image to check out the stands. Interesting. Would like to see some heads on there. Are they around 3.5" tall? This could work well with helmets but I think once you plug an unmasked head on there it just looks like an impaled head. This could be a plus if you want to display alternate heads you don't need as trophies for your Predators or something, but sitting it next to the figure the head comes from would look weird IMO. The idea is cool though, and for that price I'm willing to try it out. Maybe I do like it even for unmasked heads, and it would certainly be a good way to make use of alternate heads instead of storing them in a drawer. 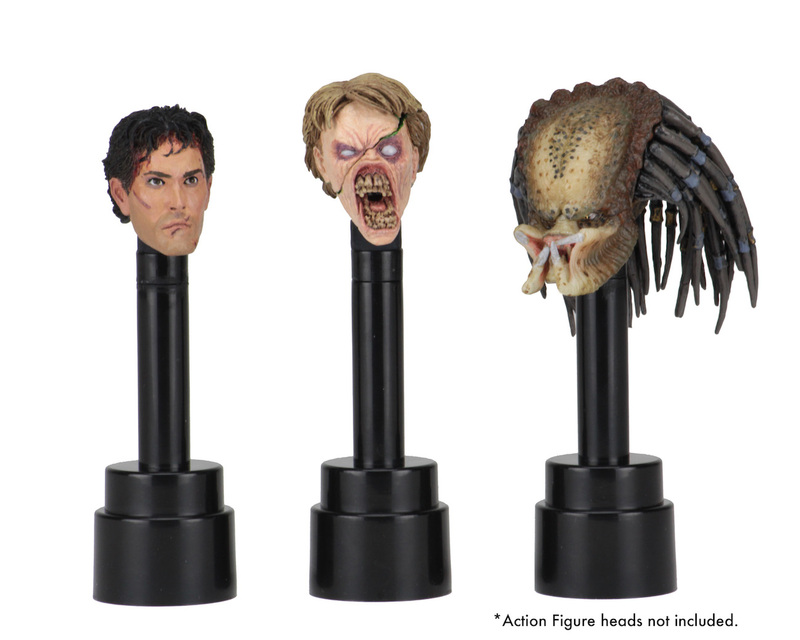 it would certainly be a good way to make use of alternate heads instead of storing them in a drawer. Good point, since that's where most of my alternate figure heads end up. This a great start. I had always wished a company would make like generic headless busts, so that we can display all the awesome extra portraits that now come with figures and statue. They could make like a generic business suit or casual (T-Shirt) bust. This would be great if made them in 1/6 scale for like Hot Toys and Sideshow figures. For statues it might be a bit trickier since the necks and bodies are posed, but something like how Prime 1 did for their 1/3 Arkham Knight Batman statue would b awesome if more companies did the same. I'd need way too many of these not to make my own out of wooden barbecue skewers and a flower arranging block, is my current thinking... Plus I can deco those to the individual heads. The Head displays are just $7 on BBTS. 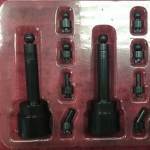 I'll pick up at least a set to try out. Still aren't giving us 2-peg stands, huh? Wouldn't that limit the poses of the figures to standing still? You wouldn't have to use both pegs. Then why have two in the first place? Umm...did you not read the post? It says clearly "The stands can work with most 6″ to 8″ scale head sculpts! They should work well with not only NECA figures, but also Star Wars Black Series, Marvel Legends, Color Tops and more." How can you miss that? Did you not see that the post you are quoting is from May? Well before we had any info on these. How can you miss that? Now we need neca figs of icp and the bowling ball dio can begin.